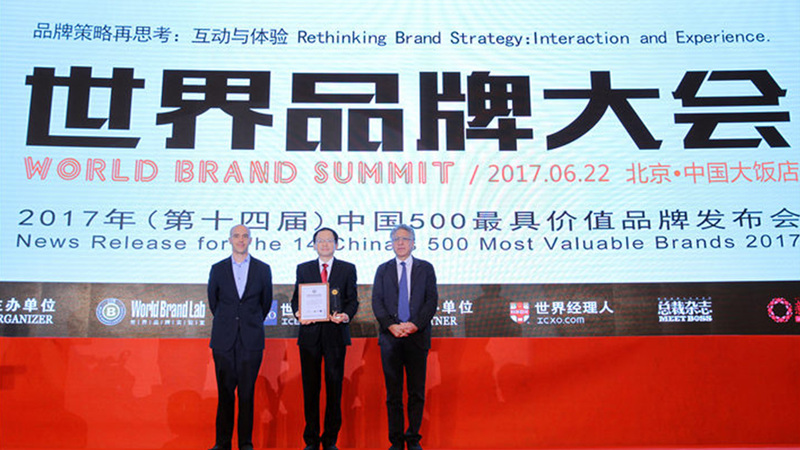 On June 22, the World Brand Lab announced the list of China's 500 Most Valuable Brands 2017 in Beijing. 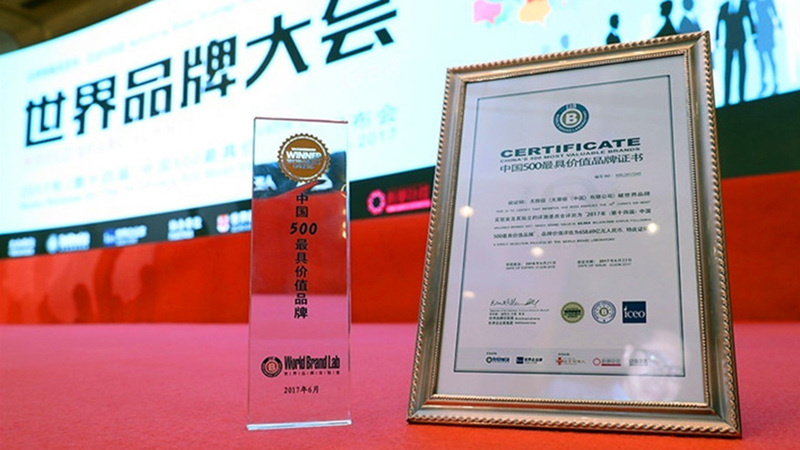 Infinitus, a well-known brand of Chinese herbal health products under LKK Health Products Group, ranked 45th with a brand value of RMB 65.869 billion. It is also the only Chinese health product brand in top 50. The total value of China's 500 Most Valuable Brands 2017 was RMB 15,558.006 billion, and the threshold increased to RMB 2.315 billion. According to this latest list, there are significant changes in the rankings. High-tech companies such as Tencent and Huawei have overtaken traditional industries as the new front-runners. Meanwhile, with the vigorous development of the health industry, Infinitus, the brand of Chinese herbal health products, has been experiencing a strong growth. Over the last decade, Infinitus' brand value has grown significantly and has been climbing up the rankings. According to the China's 500 Most Valuable Brands 2005, Infinitus' brand value was RMB 8.083 billion. In 2011, the value increased to RMB 19.558 billion. In 2014, the value climbed to RMB 36.889 billion, and in 2017, it is valued at RMB 65.869 billion. 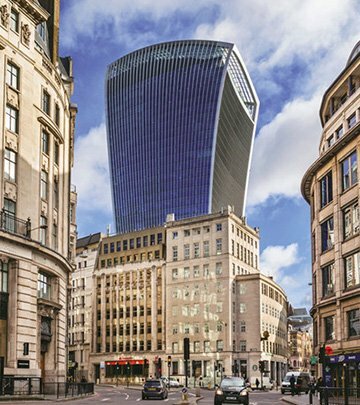 "The sales of Infinitus have increased greatly in the past years, which means there is a significant increase in the capacity of the industry. For Infinitus, maintaining a steady climb in market share means it is more competitive and unique than its peers," said Mr. Ravi Dhar, a senior professor at the Yale School of Management. In the context of China's aging society and the government's policy of "Healthy China 2030", the room for the development of Chinese herbal health products is enormous. By enhancing customer experience with innovative strategies and initiatives, Infinitus grasps the market opportunity to realise continuous growth of brand value. Solid philosophy enables the stable development of the brand. Infinitus upholds the health philosophy: get a healthy life by nourishing the inside. It is transformed into simple and easy daily practices, and is promoted though a series of "Walking Day" activities to raise the public awareness of health and to guide people with healthy living habits. 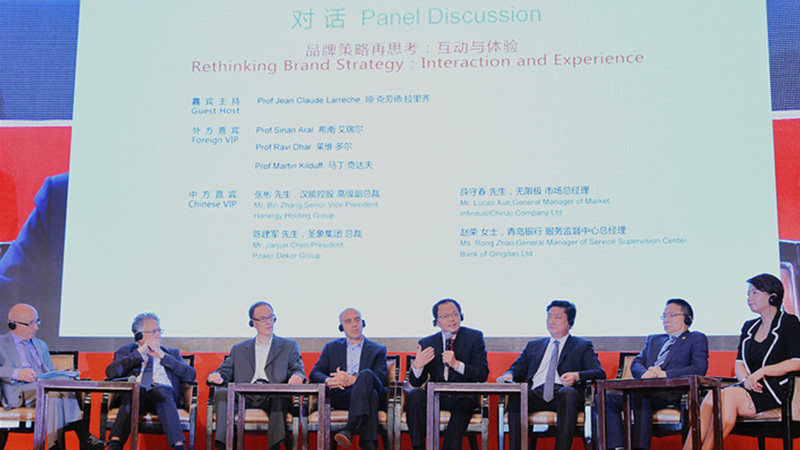 Product innovation is an important element to enhance brand competitiveness. Infinitus invests over RMB 100 million for product research and development annually. In 2016, 15 new products have been introduced to the market, with Infinitus owning a total of 133 products. It also has more than 244 authorised patents, independent research technologies and core intellectual property rights. Scientific research is also an important winning "weapon" for enterprises. Infinitus has established a R&D system featuring "one centre and multiple scientific research platforms" and cooperated with renowned universities and research institutes locally and internationally. The Cambridge Infinitus Research Centre was jointly established by Infinitus and the University of Cambridge in 2015. 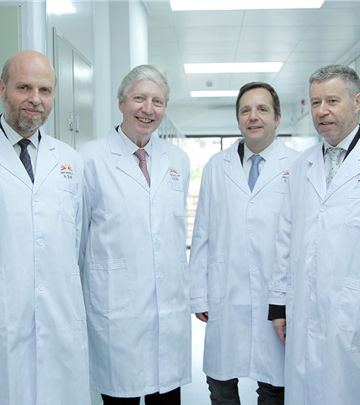 This year, Infinitus also formed a long-term strategic partnership with Professor Jules A. Hoffmann, the Nobel laureate in physiology or medicine, to further strengthen its R&D capability on immune regulation of Chinese herbal health products. In brand building, Infinitus focuses on the customer experience. The "Source Tracing Trip" enables customers to experience the high-quality products from the origin. Furthermore, Infinitus hosts the health experience pavilion in China to raise the joy of the new Chinese herbal medicine by conditioning the immune system. In terms of service, Infinitus attaches great importance to the investment and application of digital technology, in order to offer more convenient services for customers. At the same time, Infinitus sticks to corporate social responsibility, and carries out innovative public welfare projects, such as theInfinitus Happy Football Programme, for the physical and mental health of the rural teenagers; and the Si Li Ji Ren Education Dream Support Programme, to provide financial aid and education opportunities to students from poverty areas. Professor Ravi Dhar pointed out that the key to the sustainable development and market success is to explore new areas of growth, and build a differentiated competitive advantage. With broad perspective and continuous innovation, Infinitus will gain an upper hand in the future development and win more room for growth. The World Brand Lab is an international and professional brand research institute based in New York, the United States. Professor Robert A. Mundell, the 1999 Nobel laureate in economics, also known as the "Father of Euro" serves as the Chairman. Its research results have become important criteria to evaluate the intangible assets of enterprises.